Memorial Day is a special time for Americans to honor and remember all who have died while serving in the Armed Forces. 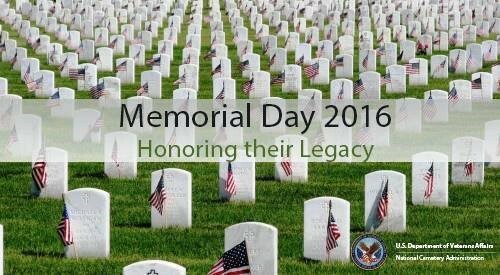 Join us in honoring them with thanks and appreciation at VA national cemeteries. To view a full list of nationwide ceremonies, visit the VA Memorial Day Ceremonies page.